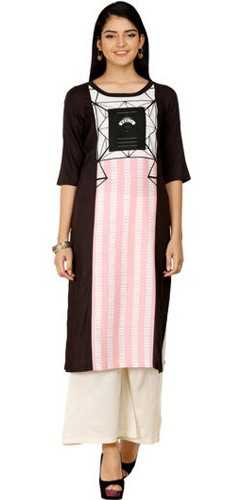 Delight your loved one with this Urbane Printed W Kurti and make her realize how special she means to you. This black Kurti from the house of Wills Lifestyle is a rayon-blend material, which makes it an all day wear Kurti. A perfect attire when matched with neutral palazzo and strappy sandals.